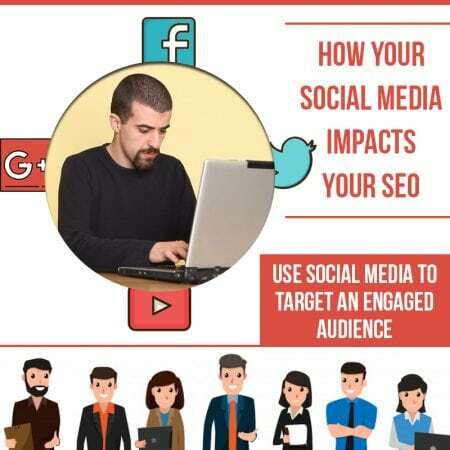 Many businesses treat social media and search engine optimization (SEO) as just two more things they need to accomplish in the long checklist they’ve created as part of their digital marketing plan. However, there’s a deeper relationship here you need to be aware of – even though Google would have you thinking otherwise. Ignoring social media means you’ll miss out on these opportunities. Since you don’t want this to happen, you need to learn how to make social media work for you. One of the most obvious benefits of having an active social media presence for your business is that their profiles will show up in the SERPs. This is an easy way to dominate the top few results in the SERPs when someone runs a branded search for your business. However, you need to do more than just create a social media profile and forget about it. You need to optimize these profiles for branded searches of your business. Make sure they include your name and any content that’s relevant to your business. Getting high-quality backlinks to your website is really important when it comes to improving your Google rankings. A great social media marketing strategy can get you some great backlinks here without you even requesting them. Simply by posting engaging content on social media that links back to your website you’re likely to find a content creator, blogger, or journalist who wants to mention it. In doing so, you’ll increase your backlinks and improve your Google rankings improve. Google Plus holds special significance for SEO because users who are logged in to their G+ accounts receive personalized search results. These are based on the +1 activity of people in your network (a.k.a. circles), which is why it’s important to create content that gets heavily interacted with. It’s also possible that posting new website content on G+ gets your page indexed faster – sometimes within hours. Although you may not think that Bing, Yahoo, and other less popular search engines is important, they do still hold a portion of the search engine market so you can’t afford to discount them. Bing says its algorithm examines your users’ “social authority” when determining its search results. Other search engines probably do the same thing, even though Google claims not to. Local SEO Tampa Company understands how the difference of just one spot in the SERPs can determine whether you get a lead. This is why they’re here to help you take advantage of any boosts you can get – including helping you with social media marketing. Get in touch with them today!